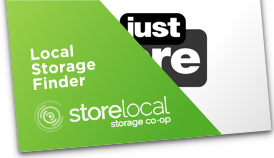 Just Store It is helping you find friendly locations in areas we do not serve. The following facilities are NOT associated with Just Store It! Terms and Conditions. Select Facility Address* Select Facility Address* 1336 Milligan Hwy. 3401 W Market St. 904 N State Of Franklin Rd. Select Facility Address* Select Facility Address* 1909 Sherwood Rd.